The Secret Owl Garden is home to Wales' largest collection of owls. 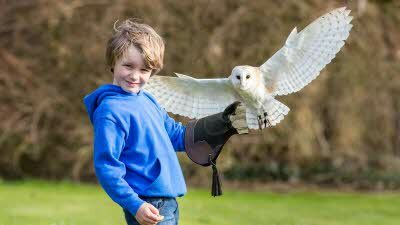 25 species live in specially designed aviaries in beautiful woodland gardens and owls take turns to free fly around the centre during the day for an up-close experience you won£t forget! See website for details of flying experiences. 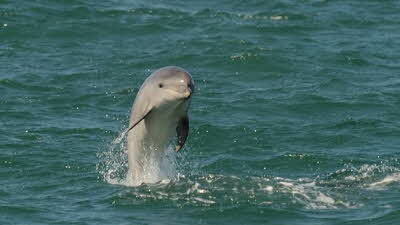 Enjoy breath-taking views of the coastline and see amazing sights including birds colonies, seal haul out areas of course the chance of seeing some of the many bottle nosed dolphins and porpoise. 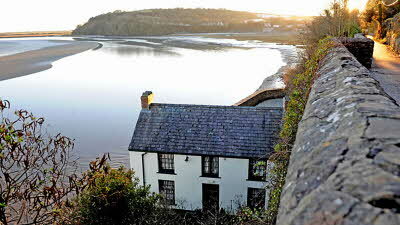 Dylan Thomas, one of the greatest writers from Wales, lived at the Boathouse for the last four years of his life. Set in a cliff, overlooking the Taf Estuary, now a heritage centre, it contains original furnishings and memorabilia, a themed bookshop, tea room, viewing platform and terrace. We stayed for 3 nights on this sheltered CL, holidaying without mains power for the first time. Mrs Harries welcomed us on arrival and showed us where the water and toilet facilities were located. Although battery charging isn't listed as a service, she said that her son would be able to help us with this if needed, but we were fine with the onboard battery during our stay. This is a small CL and it may get cramped if 5 outfits were staying at any time, hence 4 out of 5 stars overall. It is well located for the north of the Pembrokeshire Coast Path, with the Poppit Rocket servicing the Fishguard to Cardigan section. The Ferry Inn at St Dogmaels is recommended for some excellent food - ask for the clotted cream with your dessert if that's your thing! 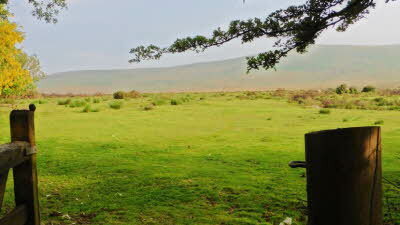 It's worth noting that at the time of writing, the location marker for this CL is wrong - it is located 1.5 miles down the B4582 from the junction with the A487. The marker points to a location somewhere further north.